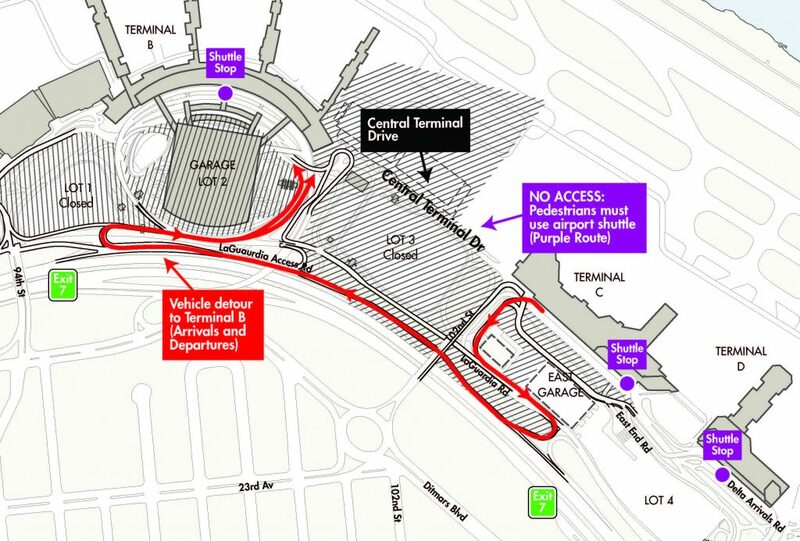 Construction at Terminal B requires the closure of Central Terminal Drive between Terminals B and C. The roadway is closed to vehicles. The pedestrian walkway closes January 3, 2017. 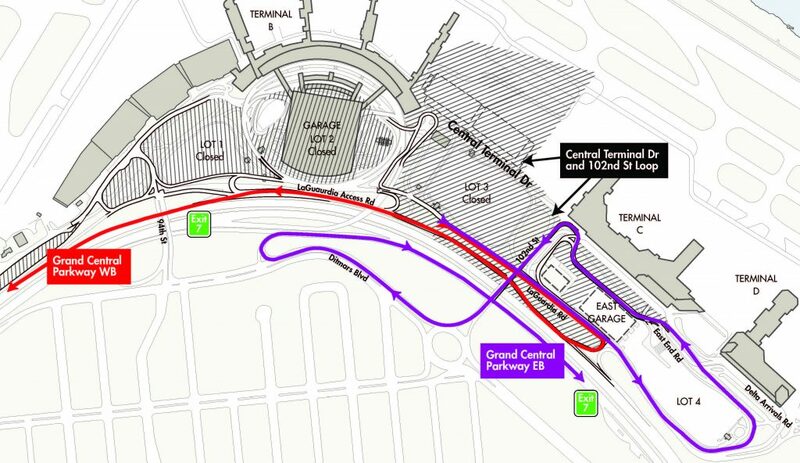 Motorists wanting to get to the Grand Central Parkway from the airport and to Terminal B from Terminals C and D and Lots P4 and P5, should follow the detour maps below. On-airport shuttle buses are available to all terminals and parking lots. 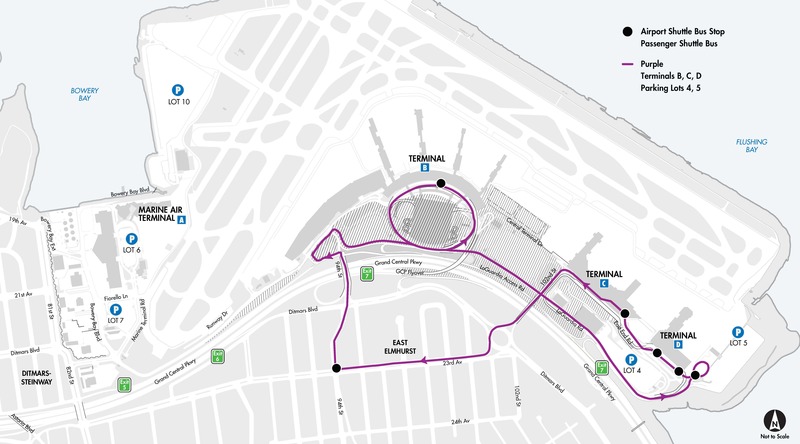 Take the Purple Route shuttle bus for connection to Terminal B. Visit Connecting Within LaGuardia for all shuttle bus routes and frequency. The pedestrian walkway closes January 3, 2017. Use airport shuttle Purple Route for access between Terminals B and C.
Six airlines will relocate terminals.